Butterflies are among the most attractive visitors to any garden. Their large size, bright colors and interesting habits make them a joy to watch. Even a brand new garden (like Mother Nature’s Backyard) can begin attracting butterflies. We’ve delighted in Tiger Swallowtails, Mourning Cloaks and other butterflies nectaring this spring. For recent pictures and a complete list of our insect visitors see the ‘Insect Visitors’ and ‘Insects Seen in Mother Nature’s Backyard’ pages to the right. While some gardens attract lots of butterflies, most home gardens are less attractive to butterfly visitors. A few butterflies may flit through - but they don’t stay long and may not return. So, what is different about gardens that are successful butterfly gardens? And how can we attract more of these lovely creatures to our own backyards? 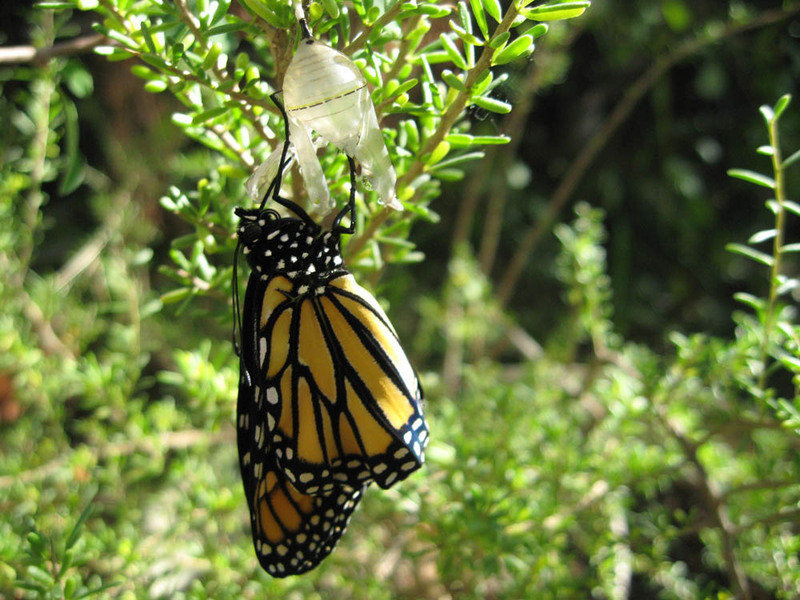 Let’s consider some lessons learned from Mother Nature’s Backyard and other butterfly gardens. The words ‘butterfly plant’ conjure up an image of plants with lots of bright flowers. But this kind of plant is just part of the story, as we'll see below. Most adult butterflies feed on the nectar produced by some flowers (although some butterflies feed on fruit). Butterflies have a tongue-like proboscis through which they literally ‘sip’ the nectar. You can see the extended proboscis on the Umber Skipper butterfly in the picture above. Not all flowers produce nectar – and not all nectar is equally tasty and abundant. The plants most of us think of as ‘butterfly plants’ tend to be those that produce lots of sweet nectar. Such plants often have many small flowers grouped in rather flat clusters – making it easy and efficient for butterflies to feed. Some nectaring plants are also good at advertising: their flowers are bright red, yellow, orange or blue/purple and may be sweetly scented. They look attractive to us and to the butterflies. The first step in making your garden more butterfly-attractive is to decide if you want to just attract adult butterflies or whether you’d like butterflies to complete their entire life cycle in your yard. Most butterflies start as small eggs, go through several caterpillar stages (each a bit larger) and then form a cocoon (pupa). The adult butterfly – which has changed (metamorphosed) from the caterpillar – then emerges from the cocoon. The butterfly life cycle is fascinating to watch and a great education for children and adults alike. And it can happen in your own garden! If you decide to attract only adult butterflies. There are many good plant choices, but you still need to choose the right plants. One thing that puzzles home gardeners is why plants that look like they should be good butterfly plants turn out to be duds. Common garden plants used for color – even some plants advertised as ‘butterfly plants’ – just don’t seem to attract the butterflies. There are several reasons why this may be so. Common non-native garden plants have been bred for large, attractive flowers and garden hardiness. Selecting for these traits sometimes has negative consequences - at least from the perspective of insect visitors. Genes needed for proper nectar production may literally be lost or ‘bred out’ of some cultivars. For others, it’s a question of limited energy: energy spent on large, colorful flowers can’t be used for producing nectar. Since many gardeners don’t collect seed, the fact that flowers don’t attract pollinators – and produce viable seed - is not viewed as a negative consequence by nurseries. But it does explain – at least in part - why many colorful gardens are lacking in butterflies and other insect pollinators. If you want to use non-native plants, choose older, open-pollinated varieties that are more likely to be good nectar producers. An even more fundamental reason explains why some ‘butterfly plants’ native to other areas don’t attract Southern California butterflies. Butterflies and their native food sources literally ‘grew up together’ over time. Over thousands of years, butterflies and food plants have adapted, making each better suited to the other. In other words, they have become specialized. When you plant a ‘butterfly bush’ from Australia, it’s not surprising that it doesn’t attract many butterflies. After all that plant’s special butterflies are half-way around the world! 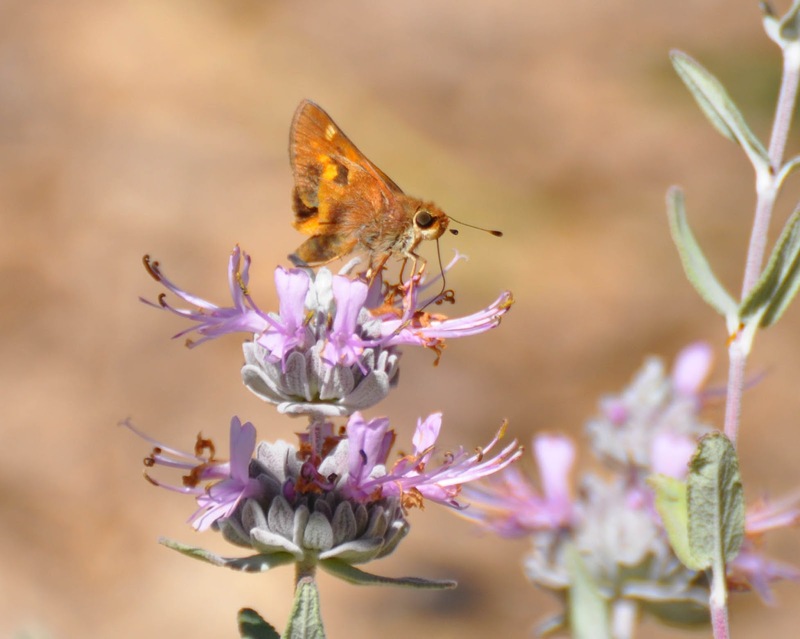 If you choose California native nectar plants then you’re much more likely to attract California native butterflies. We’ve included a list of good ones at the end of this posting. If you choose to provide habitat for all butterfly life stages you are to be commended. You're well on the road to becoming a modern, life-promoting gardener. Your decision to provide butterfly habitat does have several consequences. 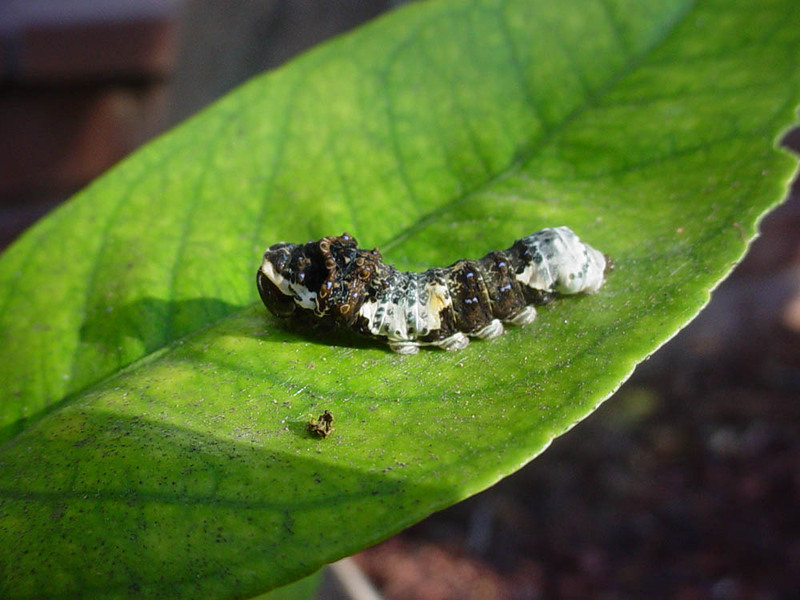 First, you’ll need to know what plants the caterpillars (larva) eat. 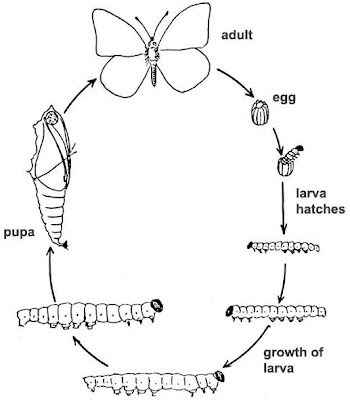 Larval and adult butterfly foods can be quite different, depending on the type of butterfly. Caterpillar food plants are often very specific to a type of butterfly and may be rather plain looking. That doesn’t matter to the caterpillar – they just need the right type of leaves to eat. 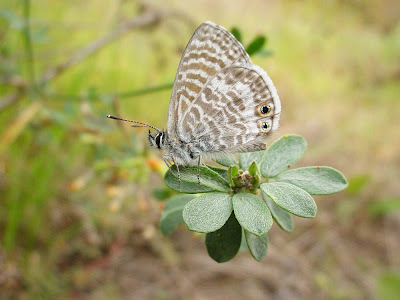 Supply the right species of plant and butterflies will lay their eggs on it. 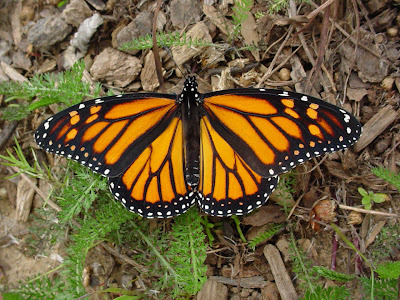 If you plant one of our native Milkweeds, for example, you'll attract female Monarch Butterflies. They pollinate the flowers and lay their eggs on the Milkweed leaves, insuring a ready source of food for their hatching larva. 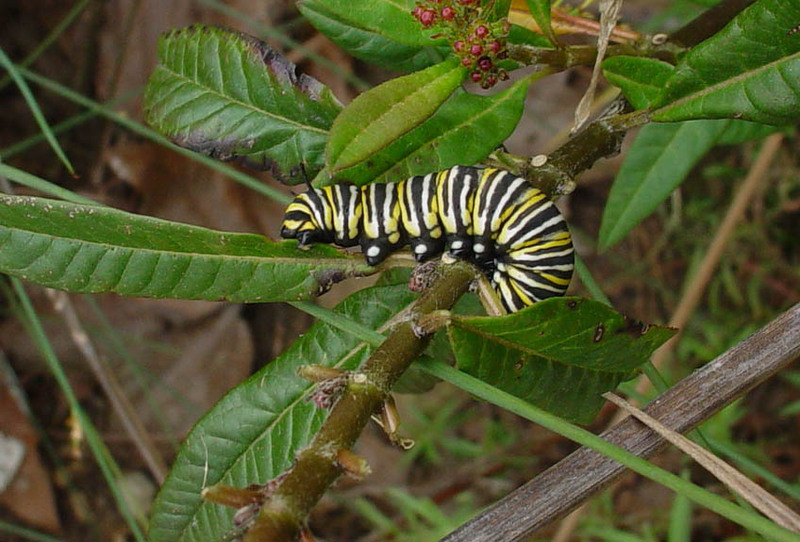 You likely already know that when Monarch caterpillars eat the Milkweed, they ingest plant chemicals that protect them from predation by birds. This is yet another example of insects (caterpillars) and California native plants evolving together to ensure survival of both plants and insects. Providing complete butterfly habitat means there will be caterpillars in your garden. So, consider carefully: are you truly happy about sharing your garden with them? If you're not, just plant the nectar plants and enjoy the adult butterflies - that's fine too. Learn to identify the good caterpillars (we've given you some good resources below). You don't want to get rid of a good guy just because s/he looks ugly (to you). Some caterpillars are rather unusual looking. Note the use of camouflage by the two large catarpillars shown below. 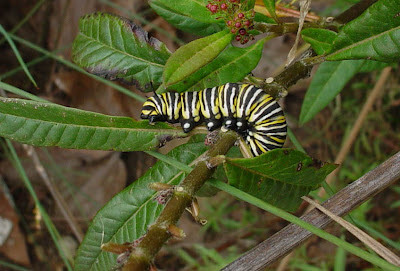 Caterpillars will eat some foliage – that’s what caterpillars do. They usually will not destroy your larval food plants, although their leaves may look a little raggedly by summer’s end. Your garden may not look as nice as gardens without caterpillars - but you're helping protect our lovely and fragile native butterflies by tolerating a bit of untidiness! As natural open spaces disappear, the need for gardeners to raise native larval food sources becomes more critical. Some butterflies – like the Palos Verdes Blue and El Segundo Blue butterflies – are limited to one or two native larval food plants. When these plants disappear, so do the butterflies. So, if you really want to make an impact on local butterflies, plant larval food plants. We’ve included a list of good plants at the end of this posting. 1. Plant larval food plants. This is probably the single best way to attract more butterflies. Be sure to plant enough of each type of plant. A good rule of thumb is at least 6 square feet for a given type of food plant. For example, you could plant two native Buckwheat plants, each covering 3-4 square feet (total area: 6-8 square feet). 2. Plant nectar plants for adult food (see list). Most of these plants have many colorful flowers. If planting non-native plants, try to get ‘old-fashioned’ varieties. Be sure to have enough plants – 8-10 sq. feet total is best. Feel free to provide a variety of plant species. 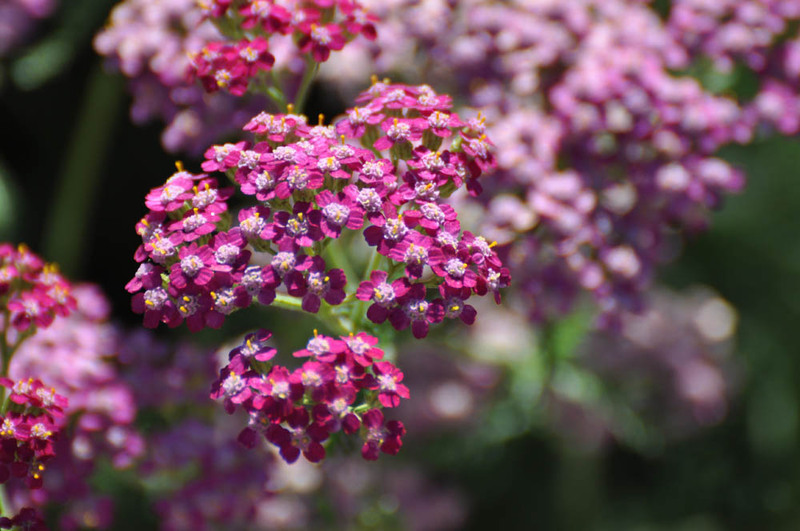 For example, you might include several types of buckwheat, milkweeds and yarrow in the same flower bed. 3. Plant flowers that bloom at different times. Try to include plants that bloom in spring, summer & fall. 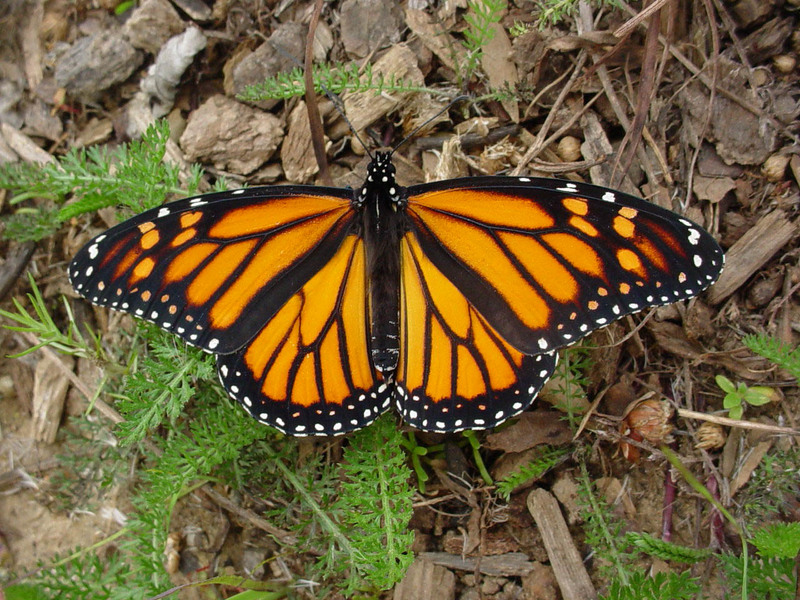 In western Los Angeles county, some butterflies fly throughout the year. Help insure that they have food at all times. 4. Plan a sunny, protected area for butterflies to perch. Butterflies need to warm up on cool days. They also need protection from the wind. A sunny area with large shrubs makes a good perching area. The type of shrub doesn’t matter. But if you plant a large native shrub like Toyon or Ceanothus – or a citrus tree – you’ll provide both perches and a food source. Butterflies will also perch on sunny rocks, walls, even on bare ground. 5. Provide protected places for larva and pupa (cocoons). In many cases all that’s needed are some large, dense shrubs (any will do) or densely planted larval food plants. 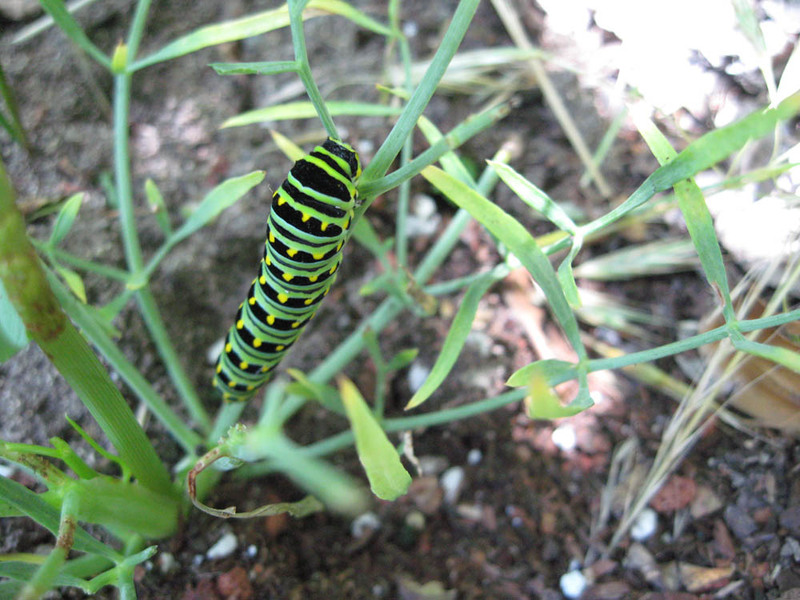 Don't prune your larval food plants - or leave some unpruned - until after butterflies have hatched. 6. Provide a source of water & minerals. Butterflies need a shallow source of water. Put a flat stone in your bird bath so butterflies can access the water. The water should just cover the rock. Alternatively provide an small area with moist/muddy soil. Butterflies will drink and obtain needed minerals from the soil. 7. Don’t use insecticides. They kill butterflies, too. Hand remove, or use water or insecticidal soap if you need to control pests. 8. Encourage your neighbors to butterfly garden. If it takes a village to raise a child, then it takes a neighborhood to raise a butterfly. You don’t need to provide all the habitat by yourself. Join forces with your neighbors to provide good butterfly habitat and improve your neighborhood. 9. Visit butterfly gardens for inspiration and information. Listed below are the common butterflies seen in Western Los Angeles County gardens with their adult and larval food sources. All plants listed can be grown successfully in the home garden. Non-native garden vegetables--cabbage, cauliflower, kale, mustard greens, radish; other -- nasturtium and mustard (Brassica sp.). Many native and non-native species in Sunflower (Asteraceae), Mustard (Brassicaceae), Pea (Fabaceae) and other families. Fermenting fruits, bird droppings, and sap from trees. Nectar from Asteraceae spp, milkweed , alfalfa, more.